There’s a reason restaurant food sales in the U.S. have jumped from $42.8 billion in 1970 to a projected $520 billion in 2010, and it’s not just that more women have entered the workforce. As best-selling food author Michael Pollan recently noted, the age of the TV chef has coincided with a dramatic decline in home cooking. Pollan, who was named by TIME as one of this year’s 100 most influential people in the world — as was Chang — argued that by making food a spectacle, shows like Iron Chef and The F Word have reinforced the message that cooking is best left to the professionals. By turning chefs into entertainers — whether performing onscreen or via the impeccable platings in their restaurants — we have widened the breach between ourselves and the once ordinary task of cooking. It’s not that there weren’t famous cooks before then. As far back as the 19th century, Europe’s aristocracy was agog about Marie-Antoine Carême’s elaborate dishes. And within more recent memory, Julia Child used television to help turn America’s housewives on to the glories of the French table and to turn herself into a star. But none of that comes close to the renown of today’s celebrity chefs, which can be attributed not only to the multiple restaurants and bad-boy personas but also to Food Network. Today the channel averages a million viewers a day and is so popular that in late May it launched a culinary spin-off called Cooking Channel, whose programming will include new shows with Bobby Flay and Emeril Lagasse. Culinary programs are also populating major networks like Fox, which this month began airing its seventh season of Hell’s Kitchen. In that show, Gordon Ramsay, the five-continent chef whose offscreen empire includes restaurants in Dubai and Cape Town, berates low-skill contestants into becoming better cooks. Ramsay and Bravo’s popular Top Chef series have prompted NBC and CBS to prep their own reality-kitchen shows. The Internet has also played an important role: on websites like Grub Street (1 million page views per day) and Eater (2 million), chef groupies can breathlessly track every charity event and opening — sometimes before the chef has gone public with the news. A whole subindustry of agents and publicists has sprung up to manage everything from a chef’s media appearances to his hairstyle. And, yes, the chefs are mostly hes: although women are entering the profession in ever greater numbers, the vast majority of celebrity chefs are male. In between making gobs of money — doing endorsements for a supermarket chain, launching a dating website for food lovers, etc. — Oliver has worked hard to improve people’s eating habits. He collected more than 270,000 signatures in favor of improving school meals and delivered the petition to 10 Downing Street; eventually the British government pledged £650 million ($940 million) to the task. This spring he launched the TV show Food Revolution, which tracks his dietary-reform efforts in Huntington, W.Va., one of the most overweight cities in the U.S. He has also set up educational kitchens in Huntington as well as in Britain and Australia, to give families cooking lessons on how to prepare simple, healthy meals. Oliver is hardly alone in trying to educate consumers and shape public policy. In recent years, the pioneering Alice Waters has seen her Edible Schoolyard project, which uses gardening to teach children about where their food comes from, spread from Berkeley, Calif., to New Orleans; Greensboro, N.C.; and Brooklyn, N.Y. Dan Barber, a New York chef leading the effort to make agriculture more sustainable, has become so influential that he has spoken at Davos. This month, Michelle Obama got more than 500 chefs — including Rachael Ray — to join her initiative against childhood obesity. And everywhere, lesser-known cooks are teaching locals about the value of eating well-raised food. If there are green markets popping up all over the U.S. and diners scanning menus for the name of the farm that grew the carrots they’re about to eat, we have chefs to thank. For every potential cook who puts herself through an expensive culinary program or grinding apprenticeship, there are many more who seek to bypass all the years of drudgery and enter the profession through a new channel: reality TV. This year thousands of people applied for 17 slots on the seventh season of Top Chef (which premieres June 16). Some of the applicants are well-trained rising stars with James Beard awards under their toques. But most are nobodies rolling the dice. And she’s right. These shows have a history of turning contestants into celebrity chefs. James Nathan is one of them. In 2008 he was working as a mechanic in Glastonbury, in the south of England, when, on a whim, he sent in an application to MasterChef. After wooing the producers at his audition with an onion-and-goat-cheese tart, he went on to win the competition. The attention was intoxicating. “Cabdrivers would lean out their windows and say, ‘Well done, James,'” he recalls. Best of all, he got the job of his dreams. Despite the fact that he had no experience outside the show, his newfound fame helped him land a position as junior sous-chef for two-Michelin-starred Michael Caines. Adrià, 48, has achieved all of this without ever starring in a television show or opening another restaurant. His reputation stems almost entirely from his wildly innovative cooking, which by playing with diners’ expectations — serving, for example, a cocktail that manages to be simultaneously hot and cold — forces people to re-examine their ideas about food. But he knows his prominence owes at least a small debt to the audience for great food that Jamie and Mario and all the others have helped create. He, in turn, is pushing the boundaries of the chef even further. In March, Adrià was named the new face of a major Spanish tourism campaign. In the fall, he will co-teach a course in science and gastronomy at Harvard. And in 2014 he will launch a culinary think tank to train new generations of cooks to approach food with maximum creativity. It’s a question that keeps Chang up at night. If chefs are today’s rock stars, few of them more closely fit the model than the 32-year-old behind the extraordinarily popular Momofuku restaurants in New York City. His style of intensely flavorful, technically proficient cooking, served in restaurants stripped of haute cuisine’s pretenses, has coincided perfectly with the dining zeitgeist and catapulted him to fame. (His outsize temper, colorful language and penchant for late-night drinking may also have played a role.) In the six years since opening his first restaurant, Chang has been accosted by autograph seekers while working out at the gym, had his underwear preferences publicized in Vanity Fair and read reports (all untrue) of restaurants he is supposedly opening in Seoul, Tokyo and London. But now, in the wake of his fifth opening in New York, as he fends off investment offers from around the world and grapples with the ever present question of whether to do his own television show, Chang says his health is suffering from the stress and that he hardly ever cooks anymore. He still cares about making delicious food, but these days he sees his primary responsibility as taking care of the people who work for him, including helping them set up their own restaurants so that, with any luck, they can become famous too. In January, Chang stopped to catch his breath and joined 12 other acclaimed chefs at a gathering in Italy called Cook It Raw. The event — it hopes to become a movement — prompts participants to think about the future of gastronomy by encouraging them to explore the connection between environmental consciousness and creativity. The chefs fished from local lagoons, met with the region’s winemakers and farmers and even attended a pig slaughter. The 50 or so guests who dined that night in the candlelit cellar of an Italian castle were similarly dazzled. But even those who were not at the dinner can experience it. Like everything else in a world that has turned food into fetish and cooking into spectacle, the highlights are available on YouTube. 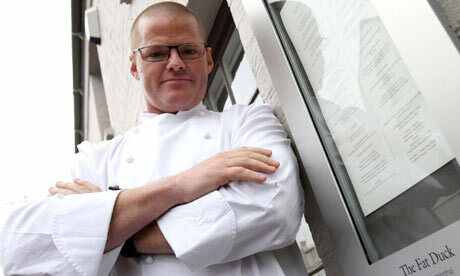 Michelin-starred chef Heston Blumenthal has seen a rising return on his investment in the Hinds Head gastro pub. One was voted the greatest restaurant in the world, the other is a gastro pub. But of Heston Blumenthal‘s two restaurants, it was the pub that saw its profits more than double last year. In contrast, profits at the Fat Duck fell, partly as a result of one of the most exclusive dining experiences in the world becoming just that little bit more exclusive. Accounts filed by SL6, Blumenthal’s holding company, show that the Michelin three-star restaurant in Bray, Berkshire, made a profit of £525,818 in 2009, compared with £732,278 the previous year. The nearby Hinds Head, in which SL6 owns a 75% stake, turned in £136,196, up from £51,088 the previous year. With starters like pea and ham soup costing £6.35, a Balmoral venison cheeseburger setting diners back £11.95, and puddings at as little as £6.50, the Hinds Head offers a more affordable alternative to the Fat Duck, where the renowned 13-course taster menu is £150. Some may conclude that anyone wanting to turn a profit in the restaurant trade should eschew copying the Fat Duck’s celebrated menu, which boasts staples such as nitro poached green tea and lime mousse and snail porridge, and focus on more traditional fare. But the figures were affected by unique factors. Last year the Fat Duck was forced to close for two weeks after an outbreak of food poisoning led to the cancellation of some 800 bookings. If a £200,000 payout to cover the restaurant’s closure is factored in, the Fat Duck’s performance is almost unchanged. The restaurant, which two years ago had 44 chefs for 42 customers, has also slightly reduced its number of tables, a decision that has made it even more difficult to obtain a booking – and had an impact on its bottom line. At a time of recession experts consider the performance impressive. Many three-star Michelin restaurants struggle to make money even in good times. The Fat Duck’s rival for the best restaurant in the world crown – El Bulli in Spain – has made no profit from its food since 2000, and its chef, Ferran Adrià, has announced he plans to close it in 2012.
very other week he posts the photos on his Web site, ejavi.com/javiDiet, providing a strangely intimate and unedited view of his life and attracting fans from as far away as Ecuador. 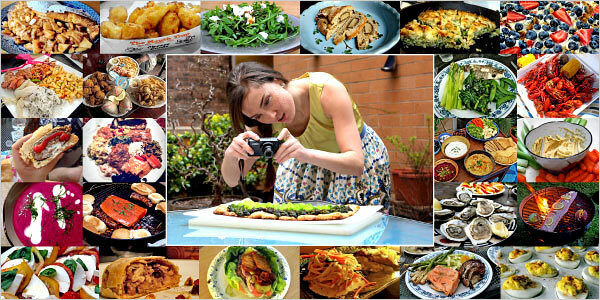 The nearly 9,000 photos leave nothing out, not even snacks as small as a single square of shredded wheat. L’objectiu d’aquest document és donar a conèixer els primers detalls que ja s’han definit sobre la Fundació d’elBulli, la seu del qual serà la de l’actual restaurant elBulli a Cala Montjoi. El recolzament i el suport rebut –des que vam apuntar la idea de convertir-nos en una Fundació- pel nostre propi equip, pels mitjans de comunicació, pels professionals del sector i pels amics que comparteixen la nostra filosofia, és el que ens ha dut a prendre definitivament aquesta decisió i a comunicar-la ja de forma oficial, assumint ambil·lusió totes les seves conseqüències i el repte que representa. · 1987: L’obertura del restaurant només sis mesos a l’any. · 1993: El disseny i construcció de la nova cuina. · 1998: La creació d’elBullitaller. · 2001: Oferir un únic servei al dia, obrint només per sopar. · 2002: Supressió de la carta, deixant com a única oferta la d’un menú degustació. La creació d’aquesta Fundació és un altre pas endavant, certament molt significatiu, en la nostra vocació d’evolució constant i compromís permanent amb la creativitat. Tot el que hem fet ho hem compartit sempre amb el món gastronòmic. Aquesta Fundació ens permetrà dur encara més lluny aquest Leitmotiv, perquè serà una Fundació oberta a tots aquells que –com nosaltres- viuen amb la convicció que el que hem recorregut junts no és més que el principi d’un llarg camí que ens durà a assolir també noves metes, tan impensables en aquests moments com ho eren fa uns anys els èxits aconseguits fins ara. La Fundació d’elBulli serà la Fundació de tots els amants de la gastronomia d’avantguarda: cuiners, sommeliers, professionals de sala, gastrònoms, creatius pensadors o simplement apassionats pel nostre somni… Un viver de novesidees i de nous talents per anar plegats i de la mà més lluny encara. 1. Serà una Fundació privada i sense ànim de lucre. 2. Volem que sigui un Think Tank de creativitat gastronòmica per a cuiners i personal de sala. procediment de selecció d’aquests becaris serà molt exigent i rigorós. 4. No serà una escola. 5. Es treballarà de forma sinèrgica amb altres disciplines com el disseny, l’art, la comunicació creativa… Perseguim feedback, interrelació i projecció més enllà del món de la gastronomia. científica com a suport als avenços en l’àmbit de l’alimentació i la gastronomia. 7. Els progressos de cada any s’aniran donant a conèixer a través de llibres en format tradicional i/o electrònic, produccions audiovisuals, internet i qualsevol altre suport tecnològic que es consideri adequat per a la seva divulgació. També en congressos i en escoles de gastronomia. 8. Paral·lelament s’anirà realitzant un treball a més llarg termini que esdevindrà una gran enciclopèdica sobre la cuina contemporània, un compendi exhaustiu i molt detallat sobre mètodes creatius, estudis sobre productes, noves elaboracions, tècniques, conceptes i estils que han marcat l’evolució de la cuina en les darreres dècades. caràcter emblemàtic, el menjador es mantindrà intacte com està ara. 10. Les creacions gastronòmiques, fruit dels treballs realitzats per l’equip de cuina de la Fundació, es podran tastar cada any a partir del 2014 durant un temps determinat i per un cert nombre de comensals. No podem concretar per ara més detalls al respecte, ja que encara estem estudiant el model més adequat per a aquesta nova operativa. 11. A causa del meticulós i acurat treball d’anàlisi i definició que ens exigim per desenvolupar el disseny final d’aquesta Fundació en tots els seus vessants, necessitem comptar amb el temps suficient de reflexió, anàlisi i concreció de totes aquestes noves línies de treball obertes i de les altres que puguin considerar-se d’ara en endavant. Per tot això, i fins que no haguem pogut avançar més i d’una forma substancial en aquest procés, i fins que no haguem pres noves i rellevants decisions respecte del format de la Fundació no en tornarem a donar més informacions. That’s all well and good, but for the millions of gourmands who clamor for one of the 8,000 reservations the restaurant assigns in an annual lottery, the more pressing question is: Will there be anything to eat? “We’re changing the economic model, and we’re changing the reservation system,” says Adrià. “But we’re still going to be feeding people.” How exactly they’ll do that is yet to be decided. The restaurant will be open for a normal six-month season in 2010 and 2011, but after that, all bets are off. When it reopens in 2014, elBulli may offer impromptu tastings, Adrià says, and will serve roughly 60 meals a year in the formal style of a restaurant. Just don’t ask him how they’ll decide who gets in. Entrevista al cuiner Ferran Adrià, xef d’El Bulli, que ens explica els veritables motius del tancament del millor restaurant del món.